Join GBTA Southern Africa and Aki Anastasiou at our annual Conference 2018 at Kievits Kroon for the session on the Digital Traveller. Read more about the GBTA Southern Africa Conference and register today. 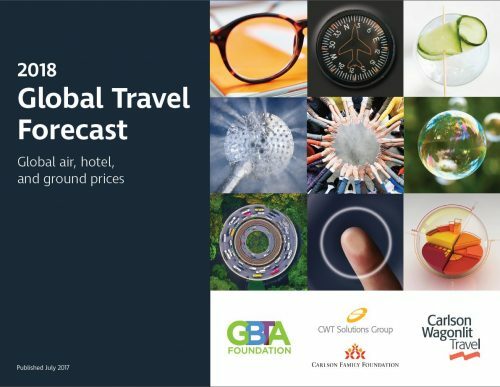 Artificial intelligence, blockchain and chatbots will significantly impact corporate travel in 2018, according to the Global Business Travel Association (GBTA), which released the 2018 Global Travel Forecast in December 2017. In its report, the GBTA said technology was moving at a rigorous pace – particularly in business. Artificial intelligence: Experts envisage AI automating portions of business travel more than that of leisure due to the traveller date frequency, programme parameters and recurring travel patterns. AI is currently still limited by data sets and ability to reason, meaning human influences remain relevant for now. Blockchain: This is the technology behind bitcoin. It is a database of encrypted information and users can remain anonymous. It is considered to be tamperproof as no altering can be done to information. Airlines, hotels and agencies are considering whether the technology should be adopted to help manage transactions, especially across multiple countries and currencies. Payment solutions are the more likely application for this technology in the travel industry but a lack of standards and protocols, as well as apprehensions regarding its capabilities may slow adoption. Chatbots: These are conversational interfaces powered by AI, and it is anticipated that they will reshape the way in which customers interact with business. While chatbots are currently too basic to offer any real value, their development will deliver meaningful results. When chatbots are fully developed, suppliers will need to consider how best to engage as their previous means of websites and app will be rendered obsolete.